Engineering and technology impact almost every industry today and, as a city that houses some of the nation’s top engineering schools, New York City is well-positioned to foster the talent necessary to drive innovation for its major industries, such as finance, media, and healthcare. 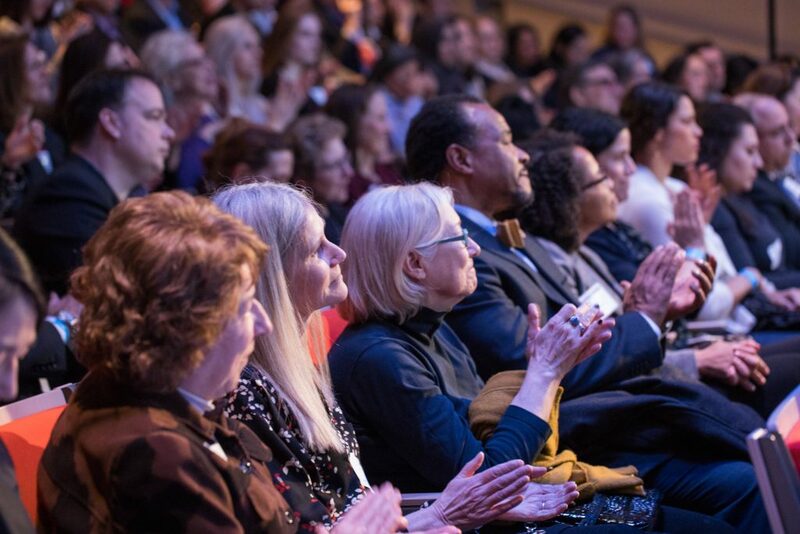 Leaders in academia, business, and government across New York City are working together to marshal a world-class effort to propel it, its people, and its business community into the future. They’ve come together under the banner of New York City Women in Tech (NYC WIT) to cement New York City as a primary technology and engineering hub of the future by tapping women engineers, scientists, and technologists. 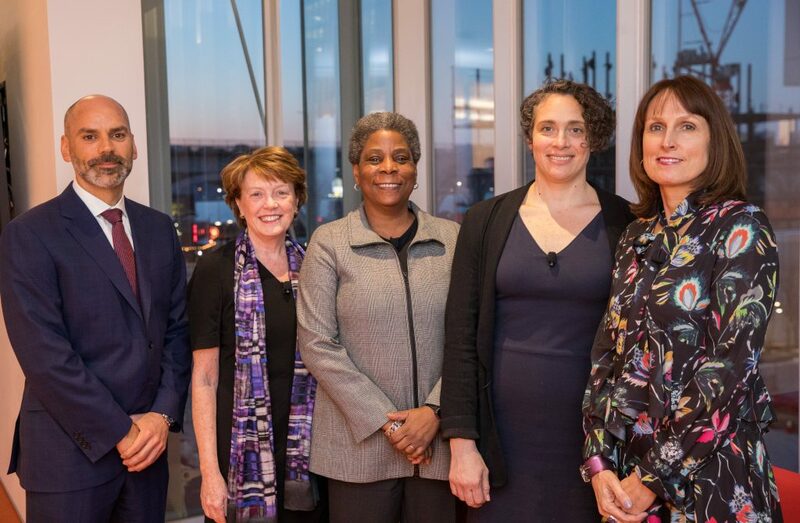 An initiative spearheaded by Mary C. Boyce, Dean of Columbia University’s Fu Foundation School of Engineering and Applied Science, NYC WIT also includes all of New York City’s other engineering schools and leading businesses. 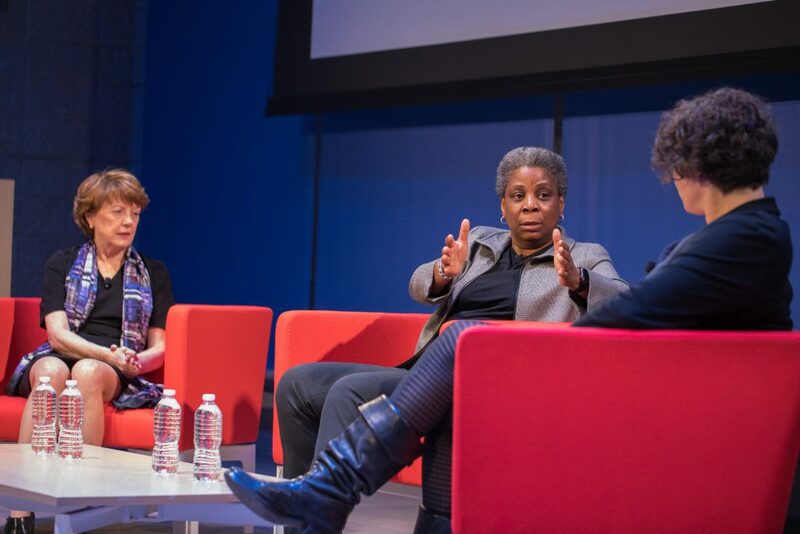 At an event celebrating the launch of NYC WIT on Tuesday, March 5, 2019, Bloomberg News’ Janet Paskin, Editor for Workforce, Diversity and Sustainability coverage, conducted a fireside chat with Ursula Burns, CEO of VEON and former Xerox CEO, and Dean Boyce about why women should pursue engineering, math or science careers. 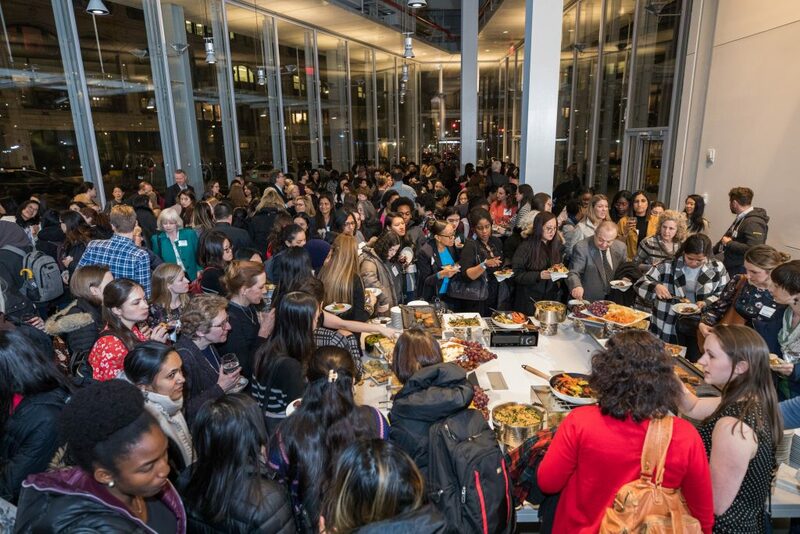 The event, which took place at The Forum on Columbia University’s new Manhattanville Campus, was sponsored by Columbia Engineering, NYC WIT, and the Columbia Alumni Association’s She Opened the Door initiative, which aims to inspire and connect women from across the University, and offer engagement and networking opportunities to bring alumni, students, and faculty together. 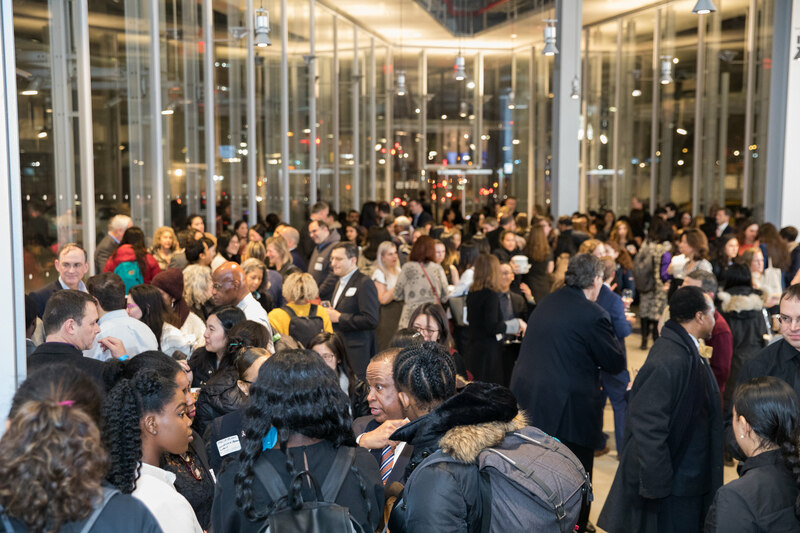 The evening was also supported by corporate sponsors who have joined the NYC WIT initiative, including Addepar, Bloomberg, Google, Morgan Stanley and WW. According to Dean Boyce, these companies are all committed to propelling women in technology and leadership. 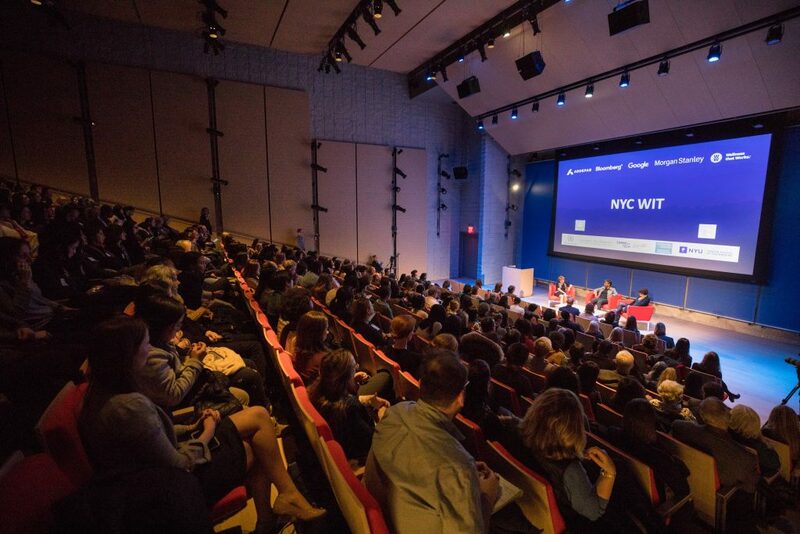 NYC WIT strives to make New York City a place for girls and women who want to learn, work and start companies, and for the city to be able to differentiate itself as a place where women are able to succeed in business. More women want to be engineers in New York City – at Columbia Engineering, 44% of undergraduates and 49% of the entering class of engineers are women; at Cornell Tech, 38% of masters students are women; at the Grove School of Engineering at The City College of New York (CUNY), 32% of doctoral students are women; and at NYU Tandon School of Engineering, nearly 40% of the engineering students are women. 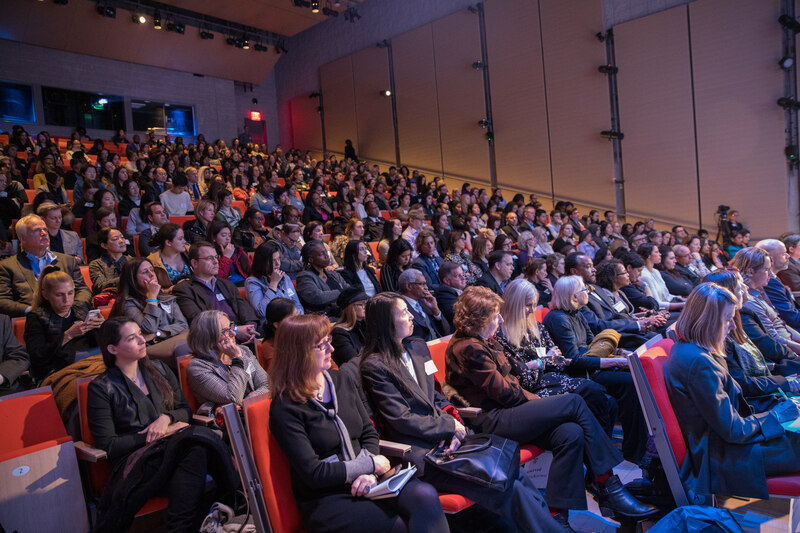 Plus, the three largest engineering schools in New York City – Columbia Engineering, NYU Tandon and the Grove School of Engineering at CUNY-CCNY – all have female deans, all of whom were present at the NYC WIT launch event. Engineering is fundamental and foundational. It starts with math because someone needs to first understand math to learn physics. “You put physics and math together, you get engineering, and you can create the world,” said Boyce. People are not born to think like engineers though. They’re taught the process. The ability to acquire the best minds is a key to any company’s success, and companies need to support universities to ensure a large enough pipeline of qualified candidates. Since women comprise over half the world’s population, but don’t always pursue technology careers, women are a great untapped resource – diverse teams work harder, are more productive and creative, and build better products. The pipeline starts with the universities in the city. 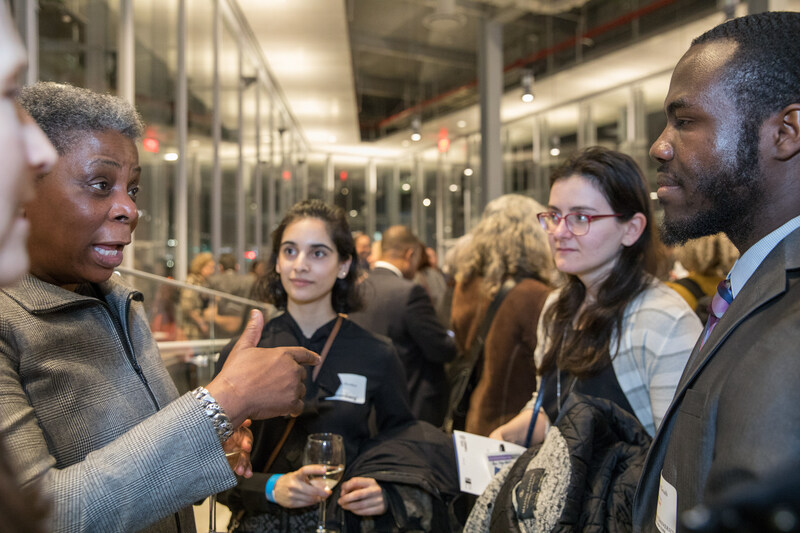 “We have some amazing universities across the city, and we’ve started partnering in a really concerted way, recognizing that the talent that’s coming out of our universities is part of the fuel that really feeds New York City,” said Boyce. Columbia very actively identifies talent and recruits from across the country and around the world. Women working alongside men in college is what’s changing the equation. Also, women know that it’s a welcoming environment when they see other women succeed, and Columbia Engineering works hard to provide that by holding sessions with women faculty and grad students who meet with women undergraduates. “They’re also seeing women being successful at both entry-level roles and in the complete career path,” said Boyce. While Columbia Engineering is approaching 20% women faculty, both male and female faculty members play key roles in encouraging women to pursue engineering. Faculty serve as role models and mentors for undergraduate and graduate students at the start of their careers and sometimes beyond. Along with encouraging more women to enroll in engineering programs at Columbia, Barnard College, a liberal arts college for women in partnership with Columbia University, is now seeing STEM as a critical component of the liberal arts. Today, one-third of Barnard graduates are now math or science majors, and Barnard and Columbia Engineering are partnering to propel Barnard graduates to begin careers in engineering following graduation. 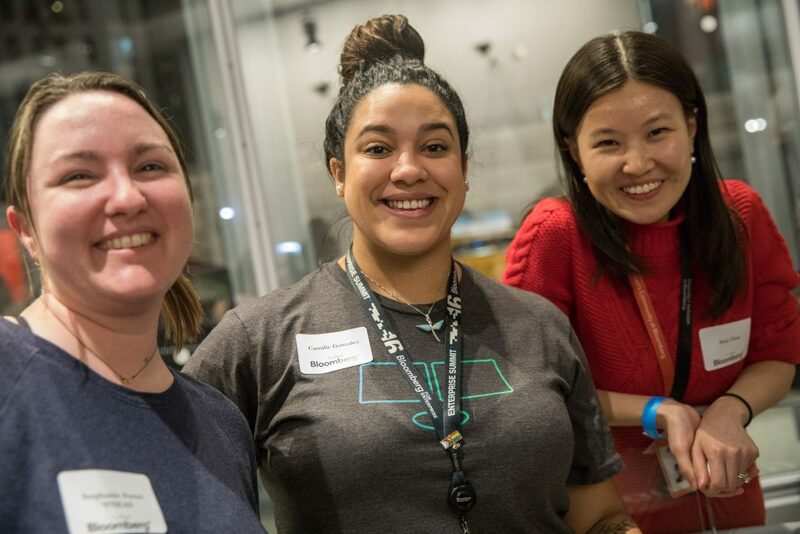 Similar to Columbia Engineering, Cornell Tech, CUNY, NYU Tandon, and Cooper Union are all actively pursuing initiatives to increase the number of women in STEM programs and engineering through a wide range of programs and by fostering a supportive environment. 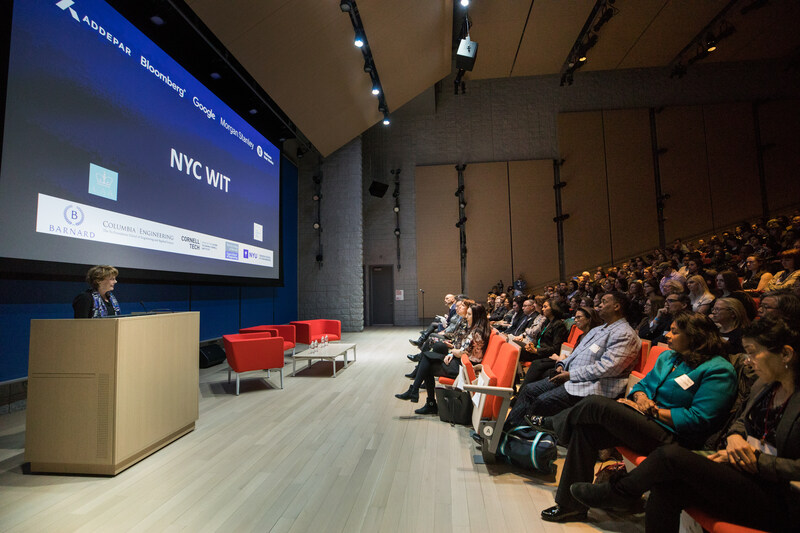 New York City’s universities collaborate with Bloomberg and other local companies that provide hands-on learning experiences for students through capstone projects. 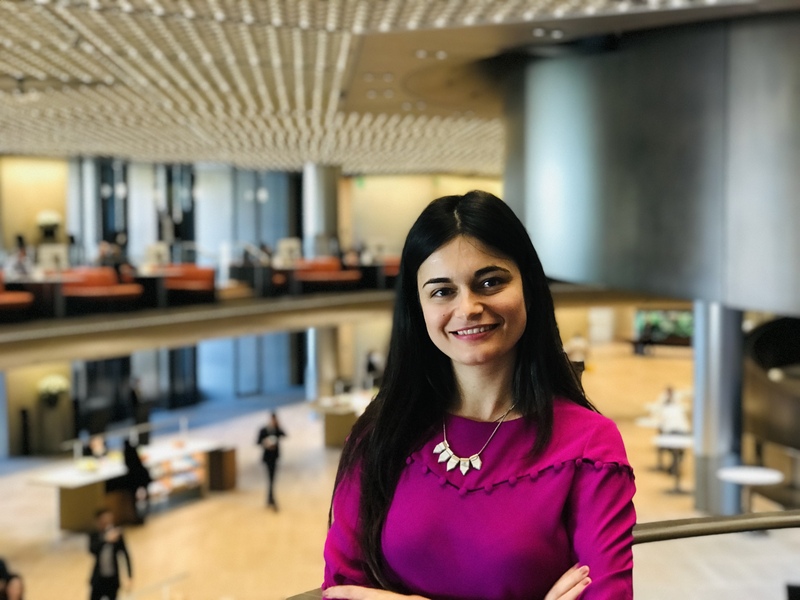 During summers, select students intern on-site at Bloomberg’s Global Headquarters in New York City, where they’re able to work on real-world projects and problems alongside Bloomberg’s talented software engineers. These internships provide students with the opportunity to understand practical applications of their education, as well as to get a glimpse into the day-to-day pace of an engineering career. Bloomberg’s interns are also provided networking opportunities and, depending on their performance, internships are often stepping stones for job offers after graduation, explained Bashford. Bloomberg looks for a diverse pool of interns and, when interviewing for positions at colleges and universities throughout the country, strives to put forth a diverse slate of interviewers. An organization’s leadership sets the tone that trickles down to its employees. Recruiting a diverse staff is the first step. Being able to truly benefit from the innovation and ideas that come from diverse teams requires companies to provide a supportive environment that allows everyone on that team to succeed, as well as the tools and visibility to do just that. Increasing the diversity of our staff is critically important to Bloomberg. A number of initiatives have been established to help attract, retain, and promote women within its engineering department. 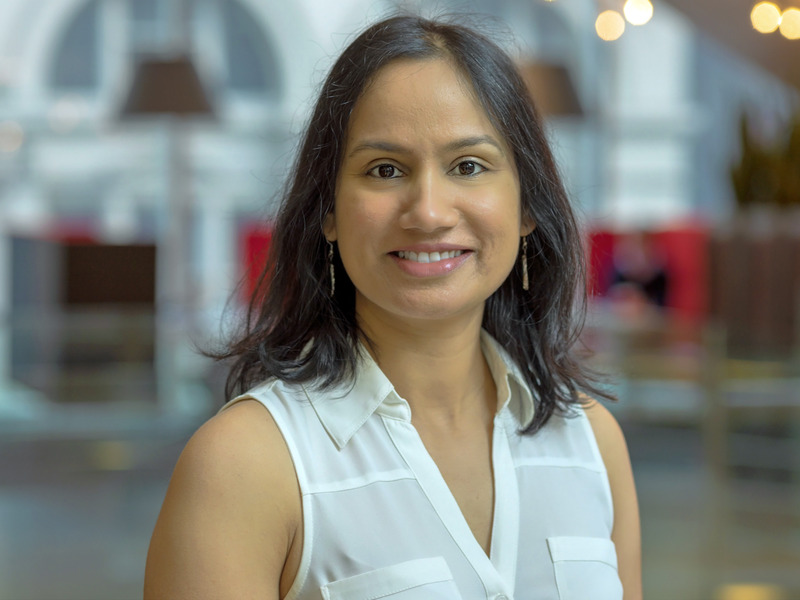 While Bloomberg holds training on unconscious bias and works with male allies to advocate for women, two initiatives in particular have helped create a welcoming environment for women. Bloomberg Women in Technology (BWIT) is a supportive grassroots community with more than a thousand members – both women and their allies. BWIT provides educational resources about technology, organizes town halls, and has networking opportunities with senior leadership. Members are often tapped to become mentors for Bloomberg staff. Women in Engineering Leadership Development (WELD) is a formal program at Bloomberg that trains women to become successful leaders. Members are assigned to a cohort and meet regularly with a senior leader from the department. Discussions are structured and focus on specific topics, like promoting yourself to advance your career or effective networking techniques. 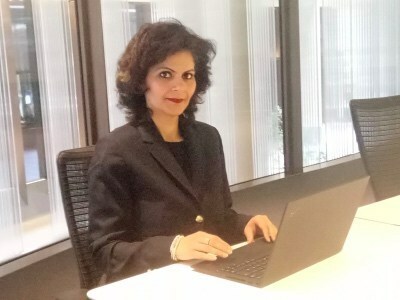 Members are also able to connect with senior leaders to foster new mentor- or sponsorship-style relationships, and often, these sponsors help these women move ahead in their careers. All the photos in this story are credited to Timothy Lee Photographers.